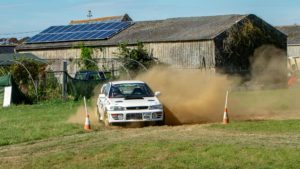 Round 10 of the Isle of Wight Car Club calendar brought us back to Haslet Farm. 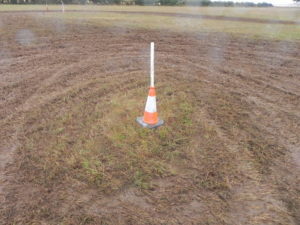 In the past we have used 3 different fields at this venue, however, this time it was the nearest field to the sand pit and included a steep hill with fantastic views at the top, although driving between the cones required lots of concentration, so I can imagine not many had time to take in the beautiful vistas. 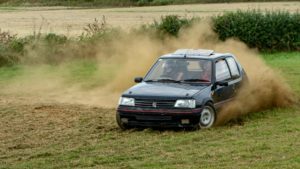 With 13 drivers rearing to go the event started on lush green grass and those in the standard class were wishing they were allowed to run knobblies. However, it did not take long for the soil to be exposed and grip thankfully was not an issue. 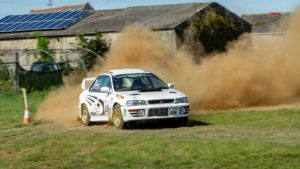 In run one as expected a Subaru topped the times – Dean Long was driving Jon Barret’s clubby and was putting his skills as a national rally driver to good use with a time of 28.90. But who was second? 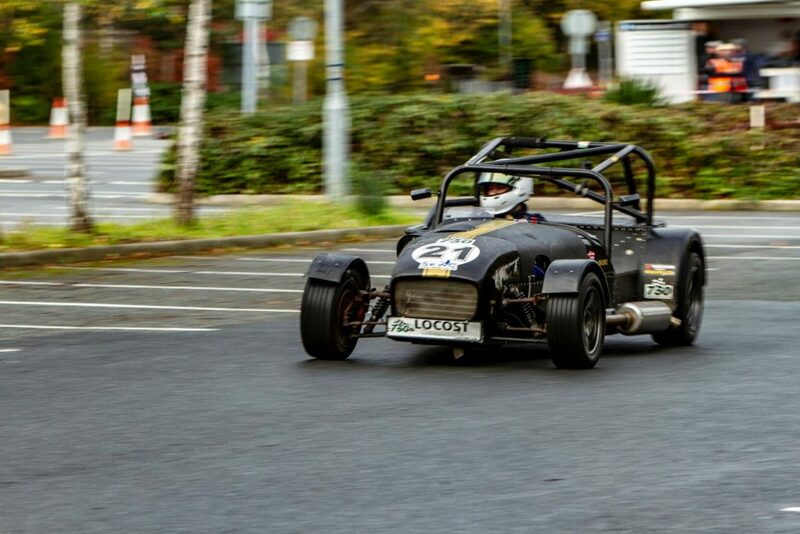 No, not a another Subaru or a single seater special (by the way Chris Wilson did not attend this event as he was very hung over), it was Steve Glass in his class 4 Honda. Steve was only a second behind Dean and well ahead of the rest of the other competitors. 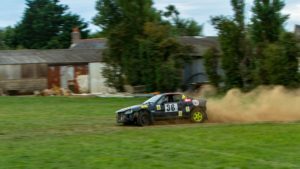 In run 2 Dean pushed too hard incurring a penalty for striking a cone and it was Jo Moore in his Subaru who took the lead and dropping the top time to only 1.17. 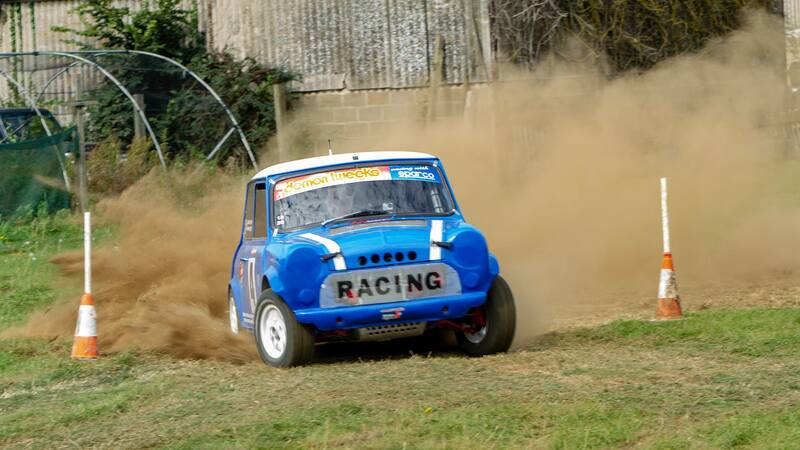 Steve Brett in his class 3 classic Mini was now in second place. Run 3 found Dean Long, Jo Moore and Jon Barret all incurring time penalties allowing Steve to retain his lead and Wayne Hole to take second place in his class 4 Ford Focus. 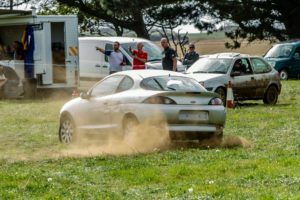 The battle for the day’s class 2 honours was between Louise Wren and Shane Parry in their Ford Puma and Hannah Thomson and Kevin Richardson in their Suzuki Ignis. 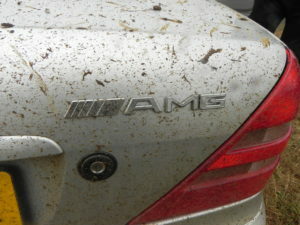 All were competing under the PCA rule, so were both drivers and passengers. 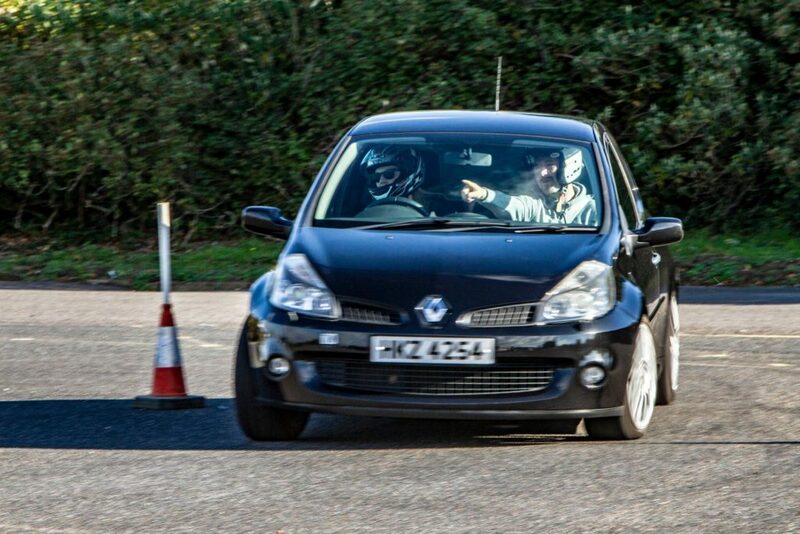 Hannah was obviously enjoying herself as here laughter whilst driving could be heard back at race control. Hannah and Louise were also in competition to see who could win the fastest lady of the day award. Hannah was ahead all day, however, on her last run Louise found some time and was in for a real chance of taking the lead but just missed out finishing an incredible 1 tenth of a second behind, giving Hannah the win. Kevin was also passenger for Steve in class 3 again, showing Steve the way and preventing him from making any wrong tests. 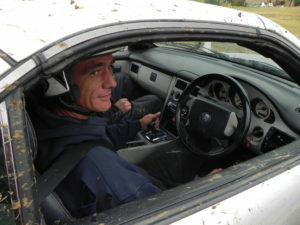 In class 4 Jon Barrett and Dean Long were also taking advantage of the PCA rule being a passenger for each other. 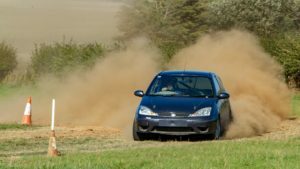 It is slowly becoming clear that any weight disadvantage of carrying a passenger can easily be out weighed by having someone guide you through the course and pushing you on to go faster. With this Jon Barret now topped the leader board at the end of round 4. 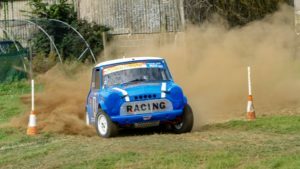 Class 5 is for cars that do not fit into the modified production car classes and is the domain of the single seater specials driven by Andy Williams and Josh Finch and highly modified cars such as Dan Young’s ex autograss classic mini. These specialist cars normally rule the roost but is seems all wheel drive could not be beaten today. 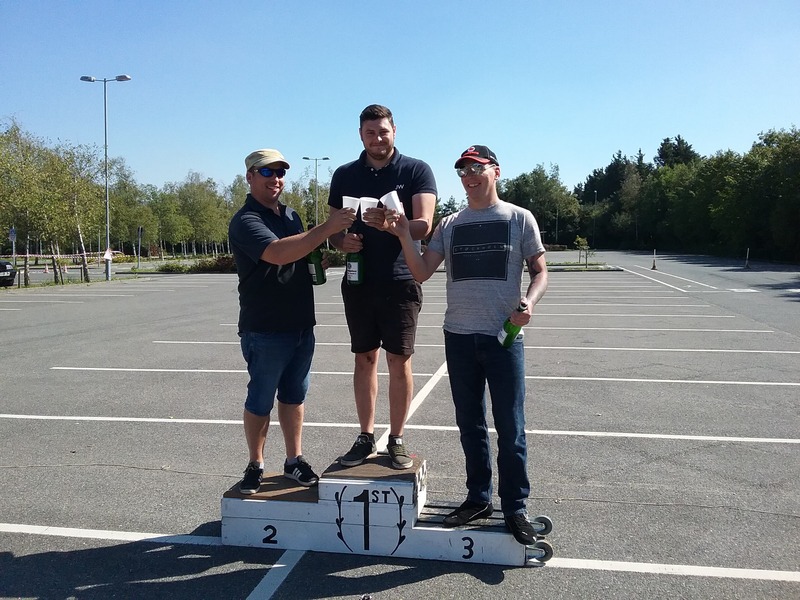 At the close of the event non of the top 3 drivers could improve on their 5th run times and Jon Barret finished 3rd in a time of 1:09.20, Jo Moore claimed the 2nd step with a time of 1:08.76 and only 8 hundredths of a second ahead was Dean Long. 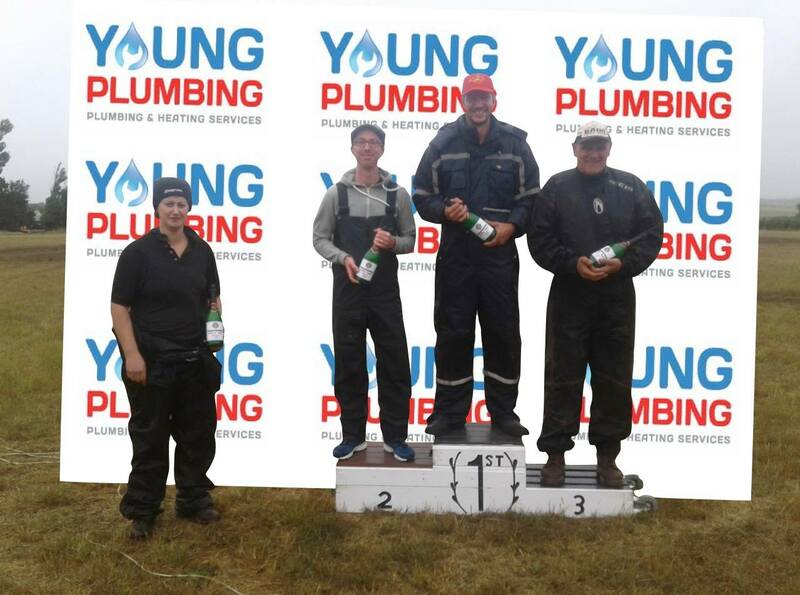 All podium finishers were presented with champagne supplied by our podium sponsor Young Plumbing. 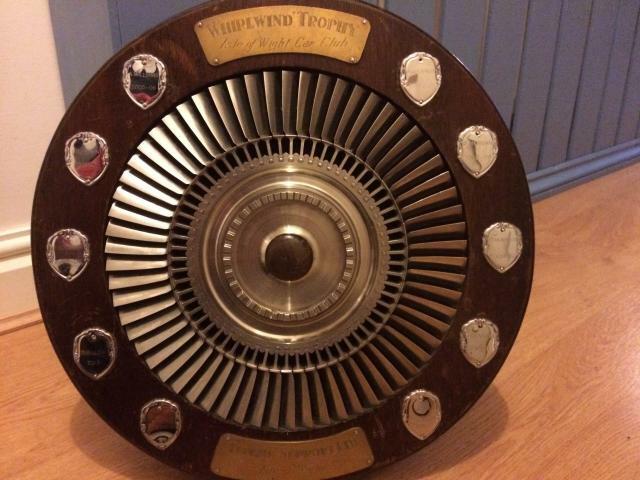 In a departure from the norm it has been decided to honour our class winners as well. Not only do they get a hand shake from our club chairman and stand next to the podium for the promotional photo, they will also be issued with a class winner sticker. 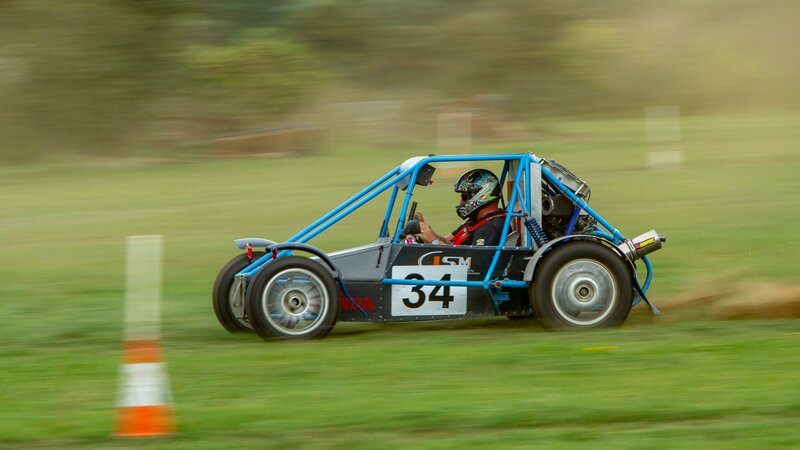 This will hopefully help acknowledge that it is just as hard to win your class as it is to win overall. 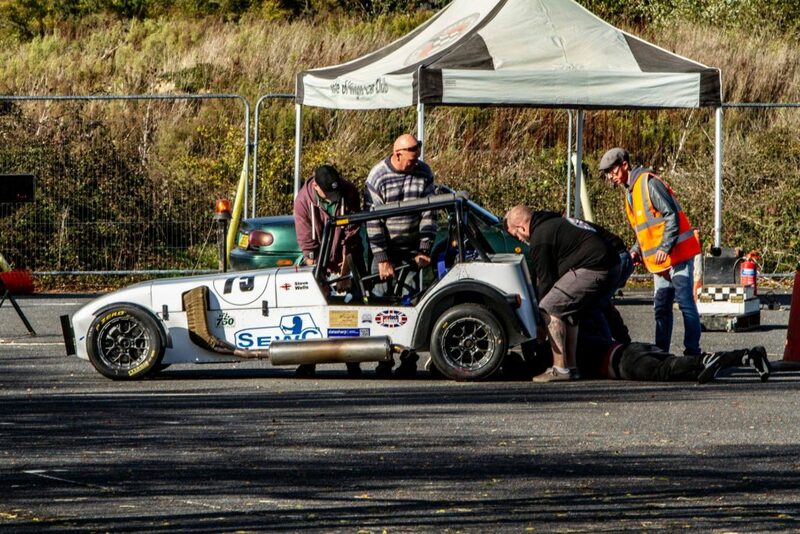 Our next event is also an unsealed event on the 28th of October at Knighton Sand Pit. 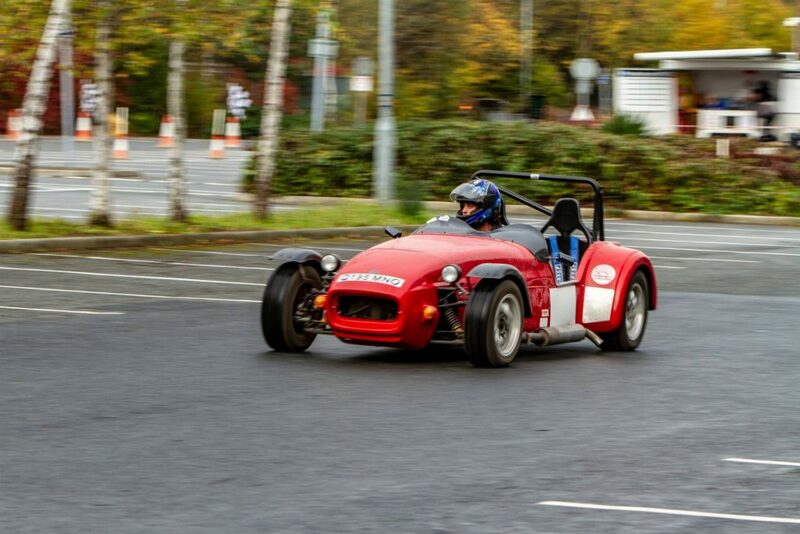 Don’t forget the big event of the year our Healy weekend on the 3rd and 4th of November. This is a 2 day sealed surface event. Day one is at BAE systems and the Sunday is at the Isle of Wight College. 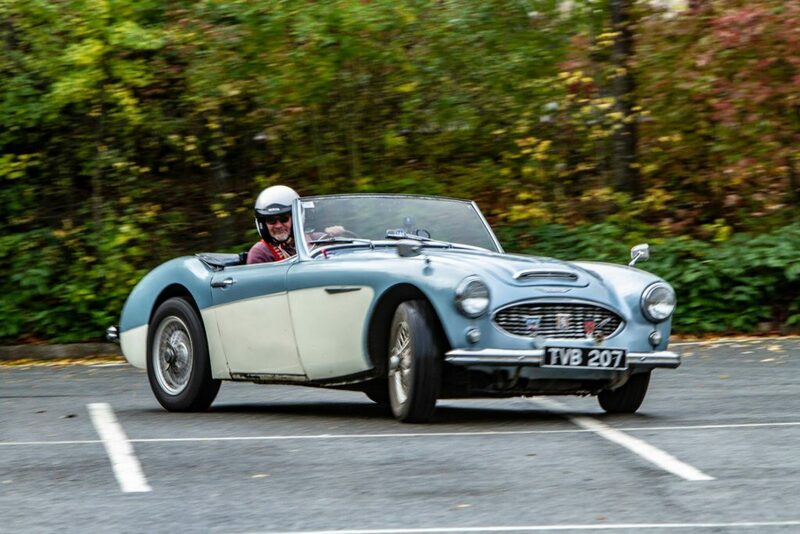 You can enter and treat these venues as individual championship events, however, we will also combine the time of individual drivers over the weekend and the lowest combined time will win the coveted Turbine trophy. 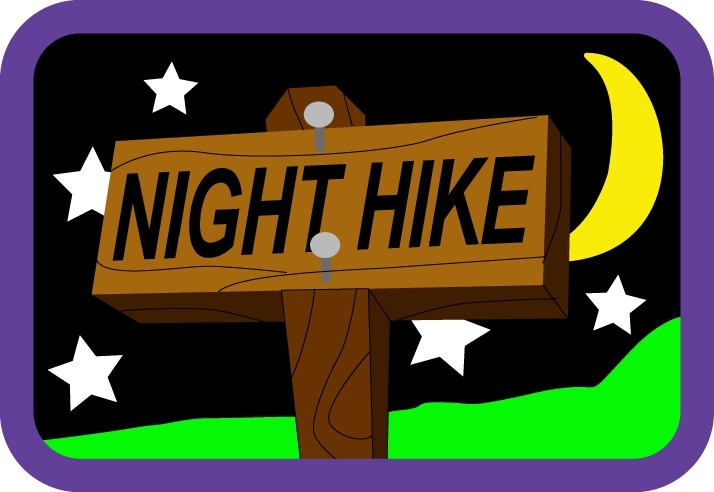 Please invite your friends to watch or better still take part. “Take it easy, learn the course and remember nobody wins an event on their first run.”, wise words and often heard during the drivers’ briefing. However, today was the day this advice was wrong. The normal format for Atherfield is the first few runs are very slow as drivers slip and slide over the short lush grass and as the day progresses a nice dusty and grippy trail gets cut into the surface and the times plummet and the final run is often the quickest. 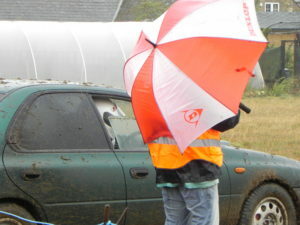 After weeks of unbroken sunshine, club members were looking forward to the fast open and often dusty unsealed surface event but this Sunday was awash with heavy rain and high winds. 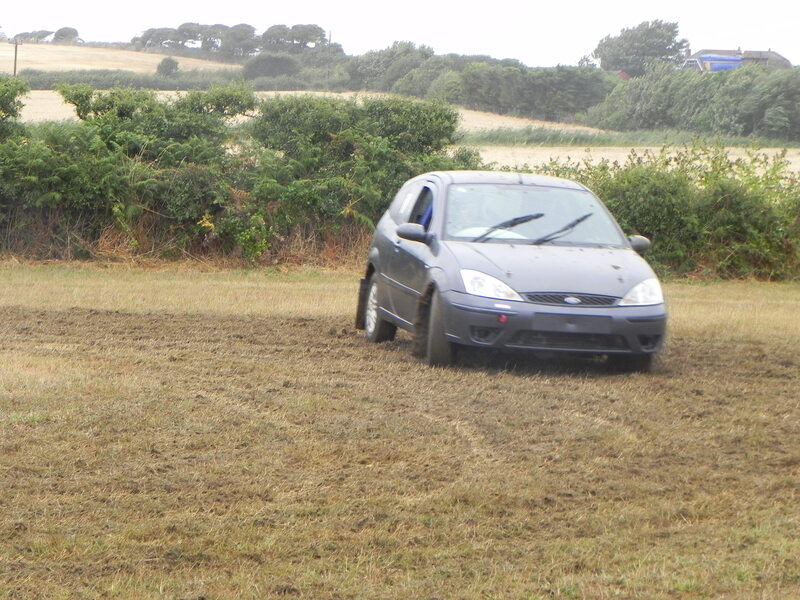 14 competitors braved the conditions and lined up at the start of a very wet grass field. 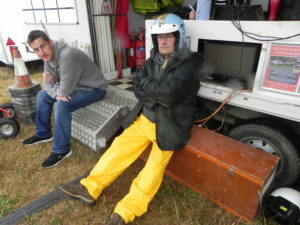 Wayne Hole is known for being one of the first drivers to put a time on the board, while others prefer to stand back and watch drivers go round because they are not yet sure of the course. 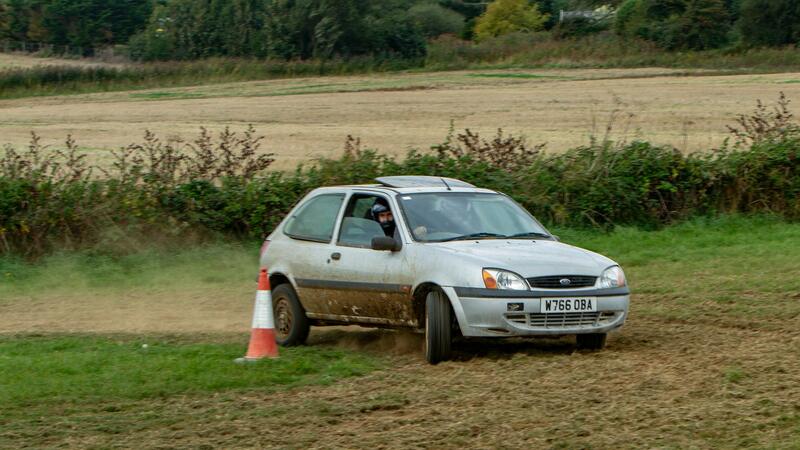 Wayne posted a respectable time and with this time topped the table at the close of round 1 in his class 4 Ford Focus. So far nothing seemed out of the ordinary. By the mid way point, drivers were still slipping and sliding, knocking over cones. 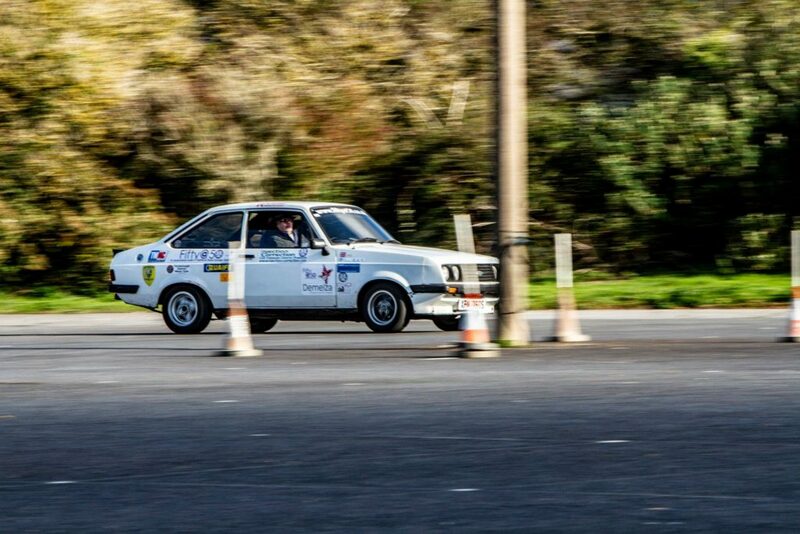 This was made even more difficult for class 1 and 2 cars as they are required to run on standard road tires and with those grip was non existent. 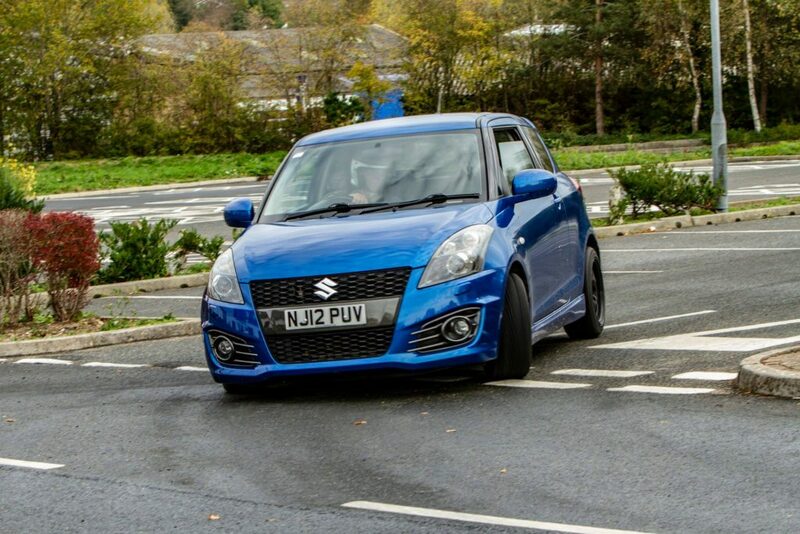 But it soon became apparent that not only were cars still struggling, everyone’s time seemed to be getting slower. Where normally the grass would have been ripped out from the top soil, the grass was just being compacted and making a mushy boggy mess. 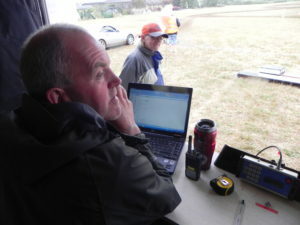 Studying the timing screens at race control, competitors were amazed to see Wayne was still top of the leader board with that first run of the day. 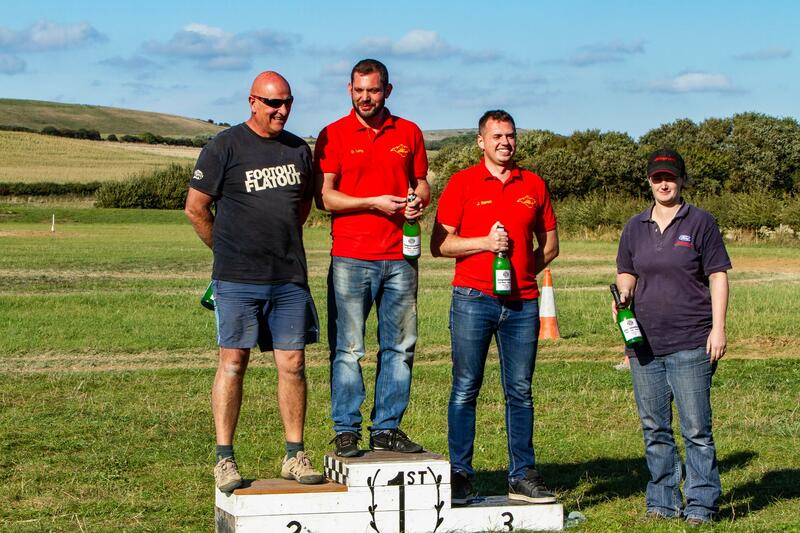 We also welcomed the return of Vicky Cox who has been absent from the club for over a year but who put the lads in much more powerful cars in their place by not only claiming fastest lady of the day award, she was also the highest placed driver with a passenger (PCA) and 4th overall. 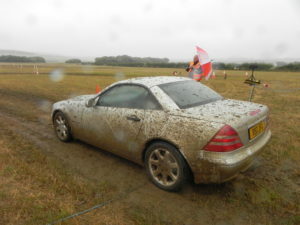 Despite it being a miserable and horrible day, it also proved entertaining, in part due to Jamie Duff, who, after his MX5 died soon after round 1, went home and returned with a Mercedes SLK AMG and in front of amazed onlookers drove the car around the muddy field on its rev limiter as it was stuck in first gear. 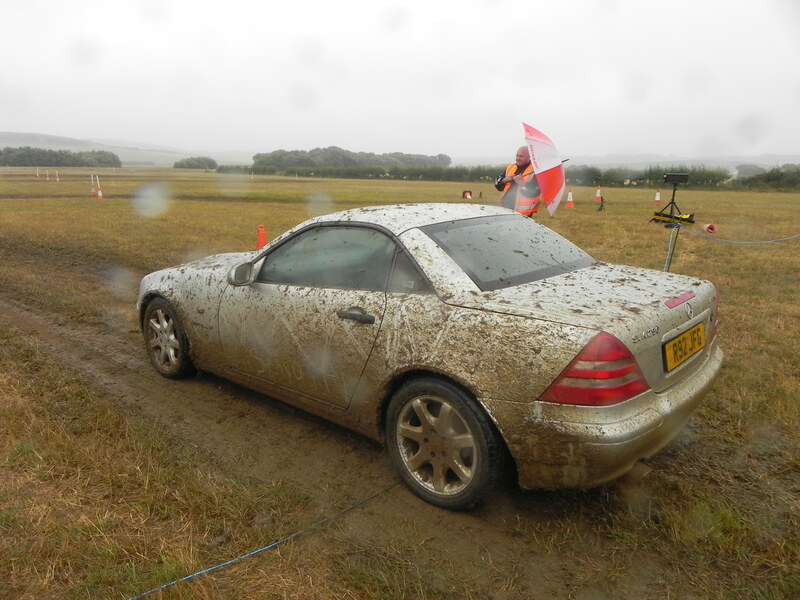 With the event coming to a close, and the rain still falling, the final runs seemed impossible to drive the event closed with an amazing realisation. 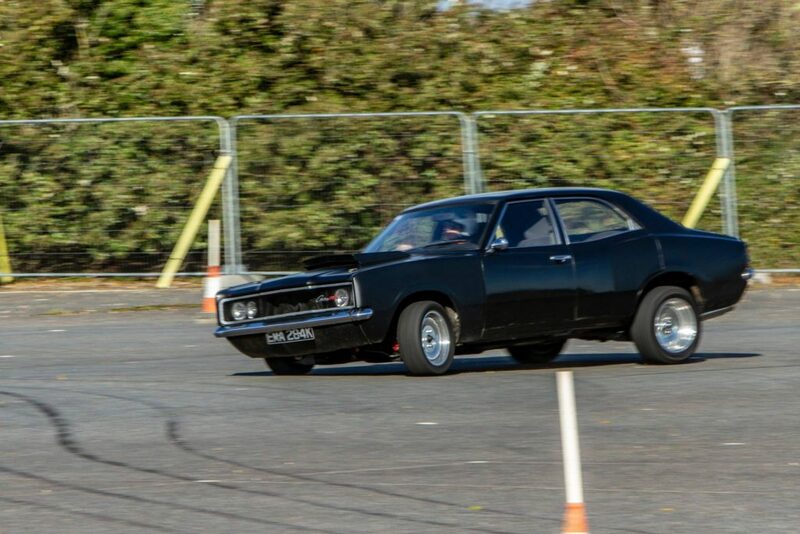 As far as we are aware Isle of Wight Car Club history was made where the first car out in round one also produced the fastest time of the day. Now that’s a record Wayne can be proud of. 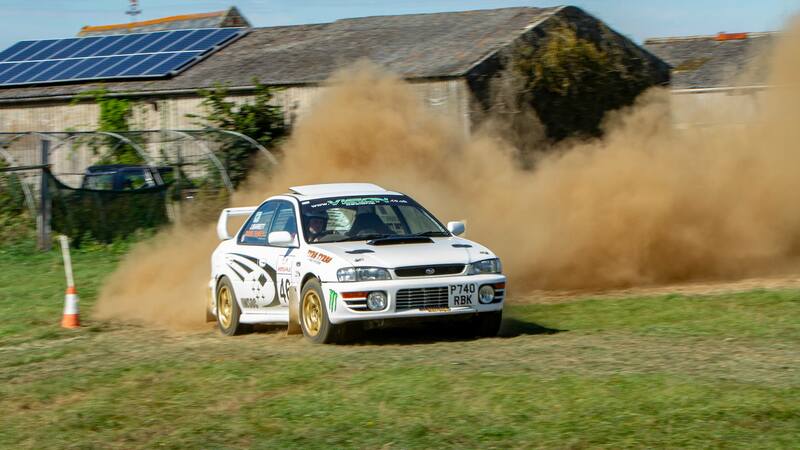 Second place went to Jo Moore in his all wheel drive Subaru Impreza and Andy Williams claimed the 3rd step in his class 5 single seater special. 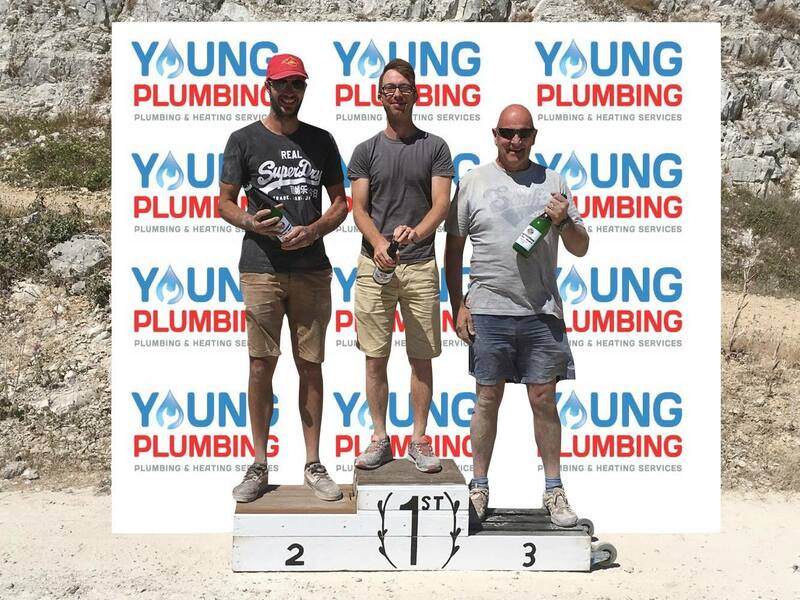 Thank you to Young Plumbing for sponsoring the podium and supplying the bubbly. The next Isle of Wight Car Club event is the Autocross weekend on the 11th and 12th of August. This is an event not to miss. Spectators are more than welcome and if you are quick you can even enter as a driver. 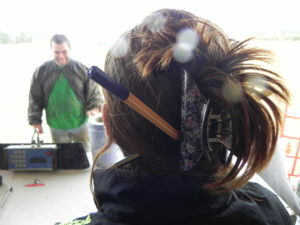 Please go to our website www.iowcc.co.uk for more information. 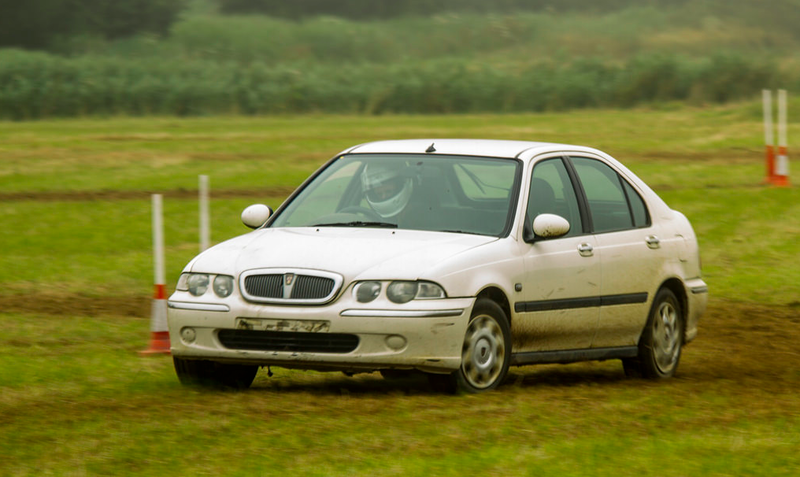 This large flat open grass field is smooth and suitable for road cars. 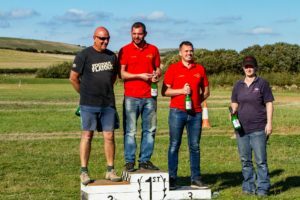 After a successful first outing at Cheverton Chalk Pit we were invited back to this amazing venue for round 6 and the 3rd unsealed surface event of 2018. This fast and dusty chalk pit is a hit with competitors and now spectators thanks to the raised viewing platform in this natural amphitheater. 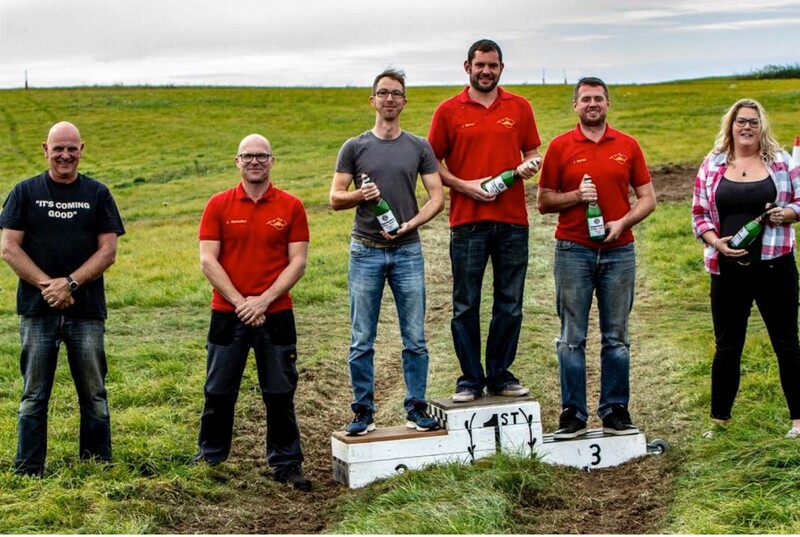 Only 14 drivers competed during this round but with the reduced number of competitors even the drivers at the back of the field are collecting decent points and we all know what points mean. 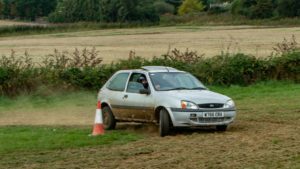 In class 1 new member Will Melon returned to have a go at his first unsealed event, however, this time he brought his mate Marcin Anszczak in his Nissan Micra. 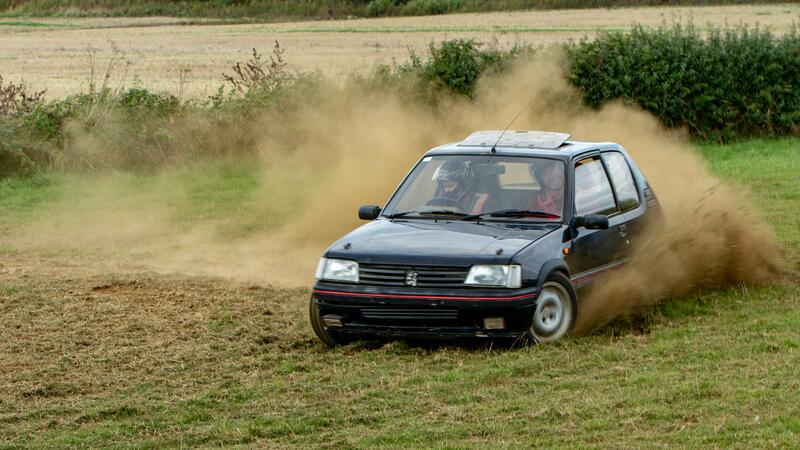 These two drove this little car with gusto and managed to finish 11th and 12th with Marcin taking the win in this class. 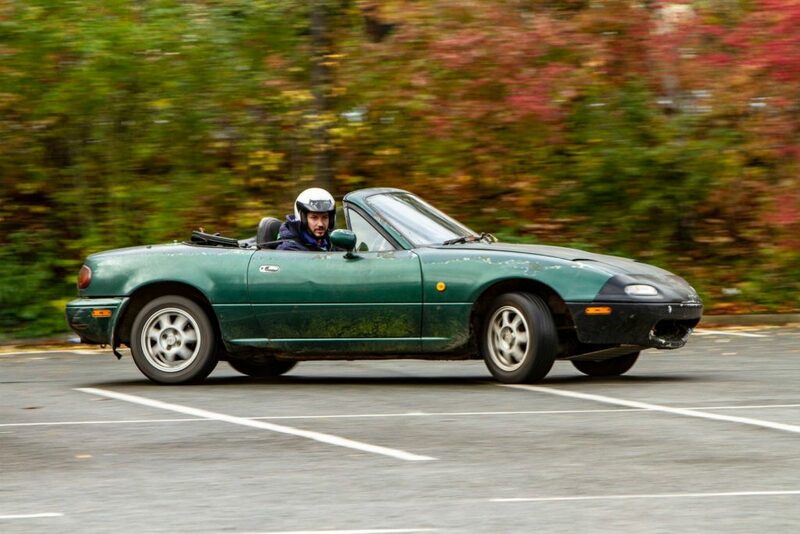 Tony and Dean Long returned, this time back in a class 2 MX5. 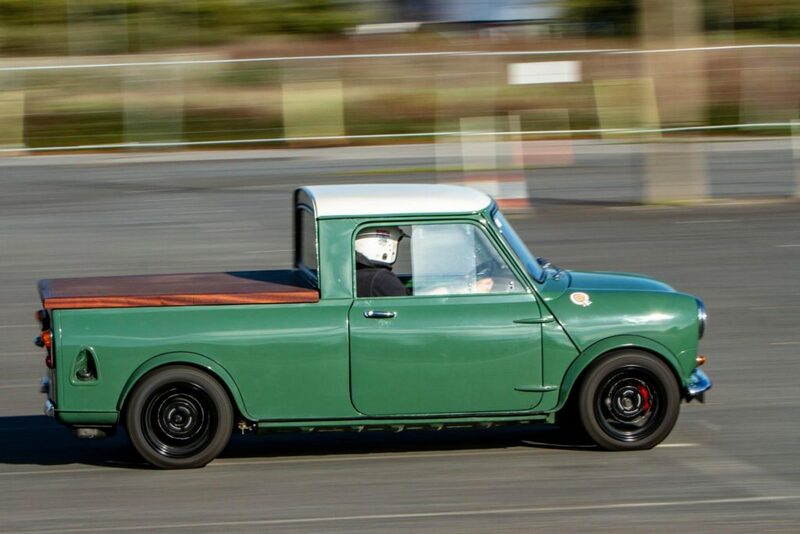 Dean has always been fast in these little cars and his driving style is mesmerizing. 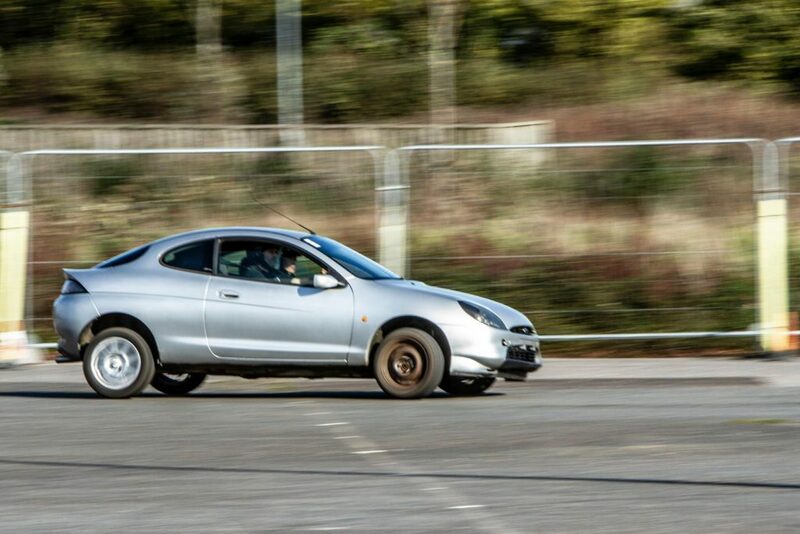 However, he was obviously having too much fun drifting around the big piles of chalk as he incurred penalties in in his final 2 runs but despite this finished 1st in class and 4th overall. A cheer went up first thing in the morning when Steve Brett drove into the pits. 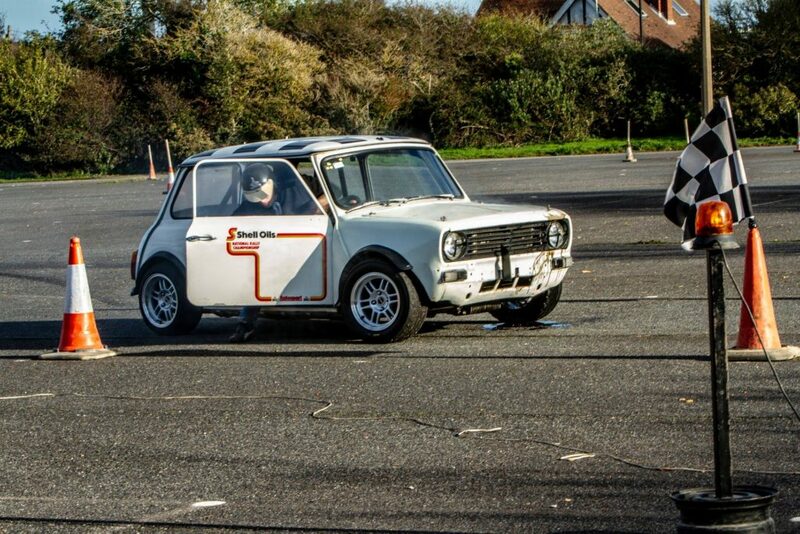 Steve has been absent for some time and it was great to see him thrash his classic Mini between the cones once more. Steve had no class battle to contend with as he was the only car in class 3 and finished 6th overall. On the other hand, we had a skirmish in class 4 as 5 drives were fighting for class honors. In a mix of cars ranging from Steve Glass in his Toyota Corolla to James Bolan in his Peugeot and Wayne Hole in his Ford Focus who out performed much more powerful cars and achieved a PB by standing on the podium for the first time in 2nd place overall. 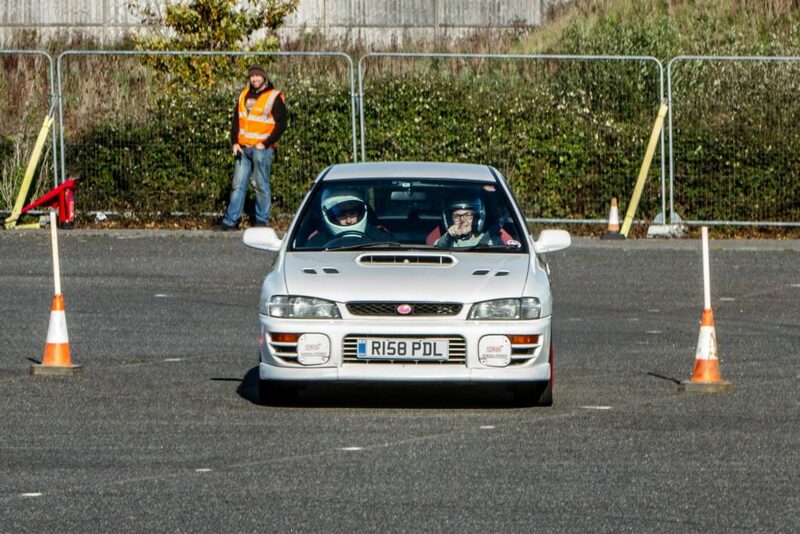 Barry Richardson experienced a first at this event by driving a much more powerful car than he is used to thanks to Jo Moore letting him drive his Subaru Impreza. Jo has owned his Subaru for 10 months now and has obviously got to grips with it as he also hit a personal best and on his 5th run posted the fastest time of the day crowning him as the overall event winner. 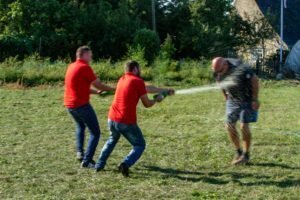 Class 5 cars, however, struggled but Andy Williams was more than pleased to spray bubbly supplied by our sponsors Young Pluming from the 3rd step of the podium. 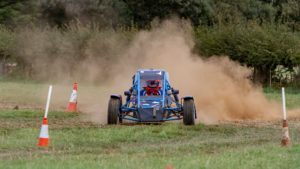 Not feeling one with the course and worried about damaging his special before the up and coming Autocross Chris Wilson sacrificed championship points by retiring midway through the event. The USS championship is now wide open with Andy Williams leading Jo Moore by only 5 points. The next unsealed event is on the 29th of July at Atherfield. 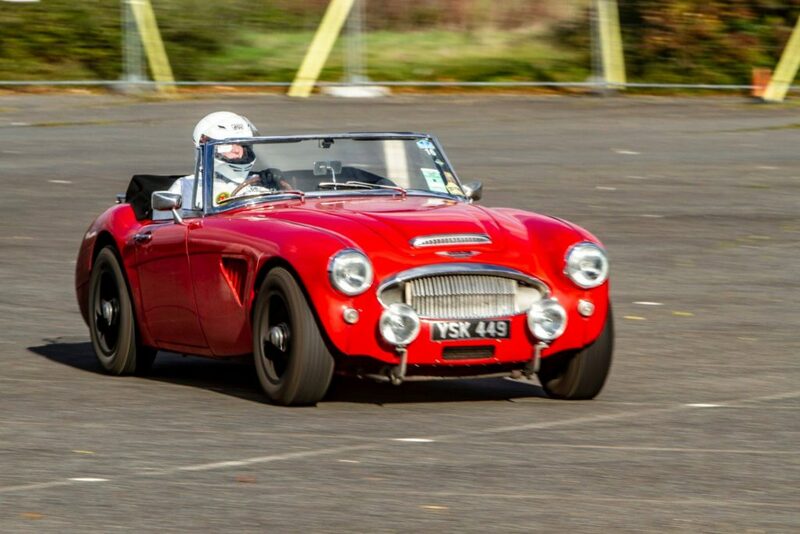 This wide open flat grass field has to be ranked as the best venue on our calendar, suitable for road cars with road tyres, so if you have always fancied at unsealed event, don’t miss out.